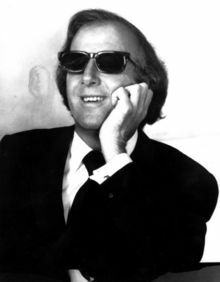 This is a 1972 file photo of jazz pianist George Shearing at an unknown location. 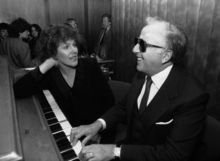 In this 1968 file photo, actress Lynn Redgrave, left, and George Shearing are shown at an Arts and Entertainment Network Party in New York. Shearing, the ebullient jazz pianist who wrote the standard "Lullaby of Birdland" and had a string of hits both with and without his quintet, has died.